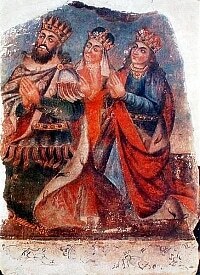 Daughter of King Sanatrug, she is considered to be the first Armenian Martyr. In total secrecy from her father, she converts to Christianity by Apostle Thaddeus at the age of 15. Her father orders her to return to paganism, and eventually orders to kill her and her teacher in Shavarshavan. 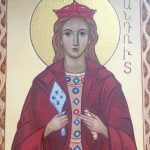 Armenian women have played an influential role throughout history, King Drtad III of the Arshakuni Dynasty (54-428) converted to Christianity by Saint Gregory the Illuminator, and declaring Armenia as the first state to adopt Christianity as its religion. Here Historians shed a huge light on two important women, Queen Ashkhen, and Princess Khosrovitoukhd King Drtad’s sister. To make the long story short King Drtad was close friends with Gregory, but when he discovered that his father was murdered by Gregory’s father Anag, he ordered to imprison Gregoy in a dungeon called Khor Virap, for 13 years, and suffered demoniac. 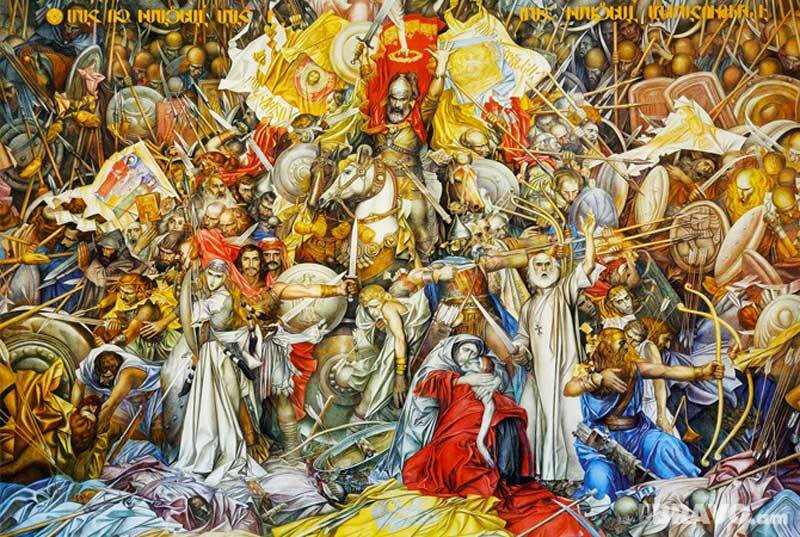 Khosrovitoukhd dreams that Gregory would cure her brother, and for their surprise they find Gregory alive, he cures Dertad, baptizes him renaming him Hovhannes (John); in the Aratzani River. According to Akatankeghos the historian, King Drtad, Queen Ashkhen and Princess Khosrovitoukhd help in person to build the Church of Holy Echmiadzin and Hripsimiantz. 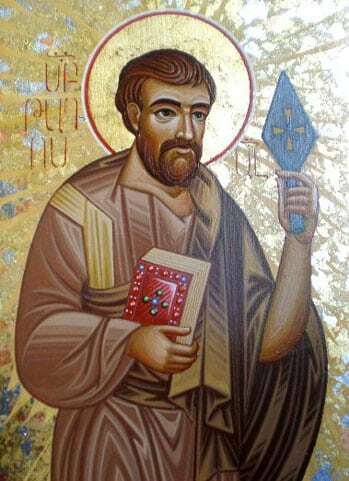 Together they helped Saint Gregory the Illuminator preach Christianity in the Armenian Kingdom. And eventually left the royal life to humble, peaceful consecrated life and were pronounced Saints. Shoushanig or Shoushan Varteny, is Vartan Mamigonian’s elder daughter. 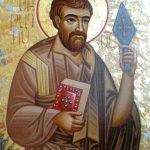 Vartan Mamigonian is the national hero Saint that Armenians commemorate every year in February all around the world, for his martyrdom during the Battle of Avarayr against the Persian Army, in order to keep the Christian faith. Shoushan was married to Vazken, Son of Mayor Ashousha, of Georgia and had 3 sons and a daughter. 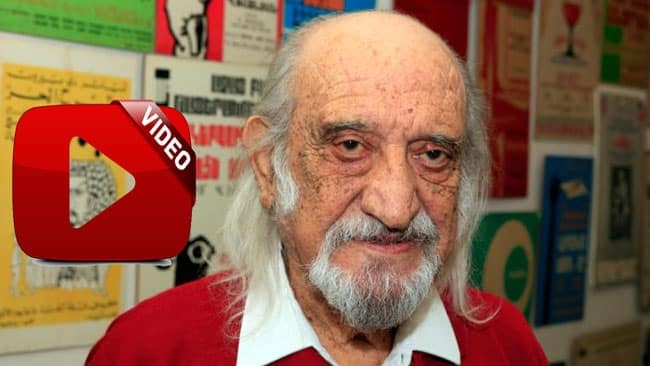 For political reasons Vazken decides to convert to Zoroastrianism and marries the mother in law of Persian Prince Beroz. Shoushanig refuses to join her husband and remains a true Christian, she moves to a nearby church and lives in continuous prayers. The mayor, tries to convince her, but in vein, so he uses verbal and physical violence against her, imprisons her trying to force her to accept his beliefs and still she remains faithful to her faith. With only a bible left to her from her Grandfather Saint Sahag, she struggles for seven years until her murder. 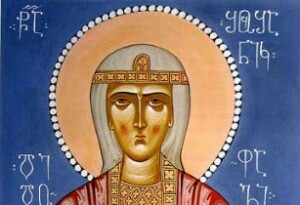 She is considered the “ideal Armenian ideological medieval woman”. 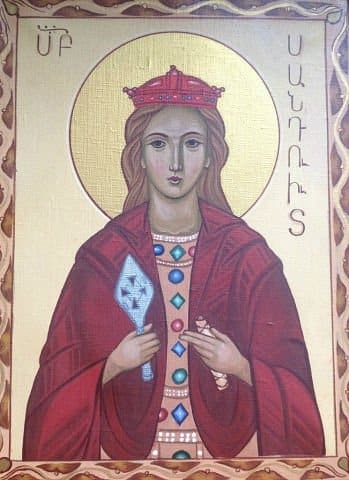 She is a beloved saint to Armenians and Georgians.